He has it on his shelf. Again you can see the thru the whole video but you can clearly see it at 1:28 in the attached video. 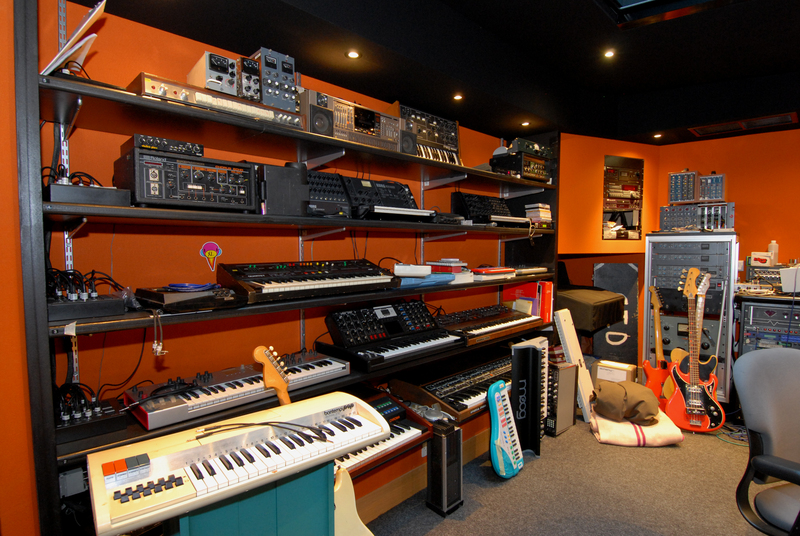 "Lohner's home studio is centered around a Pro Tools Mix system running on a Mac G4/400MHz. Some of his outboard selections include an Avalon Vt-737sp preamp, an Avalon U5 preamp, a Tech 21 SansAmp, a Roland RE-501 Chorus Echo and a Clavia Nord Lead synth." Roland RE-501 is included in the list of outboard FX used on the Recoil album *subHuman*. In this photo of Kevin's makeshift studio from the InnerSpeaker recording sessions, a Roland RE-501 Chorus Echo can be seen on the desk. nu:tone says : New toy!!!!! "Removed while two guys recovered from alcoholic over enthusiasm. Thank you so much guys, that was really helpful :-/ Space echo RE-501, £900 plus £20 shipping. From my eBay listing- "Good condition. Japanese/US power (needs transformer). This is ex Verve circa Forth. Since, with my early work with the Verve, and our T-shirts, featuring my old 201, I'm one of the folks who are responsible for the escalation of the prices of these machines, and also since I've had not one but two Space Echoes stolen, I'm unfortunately joining the trend of Space Echo exploitation." 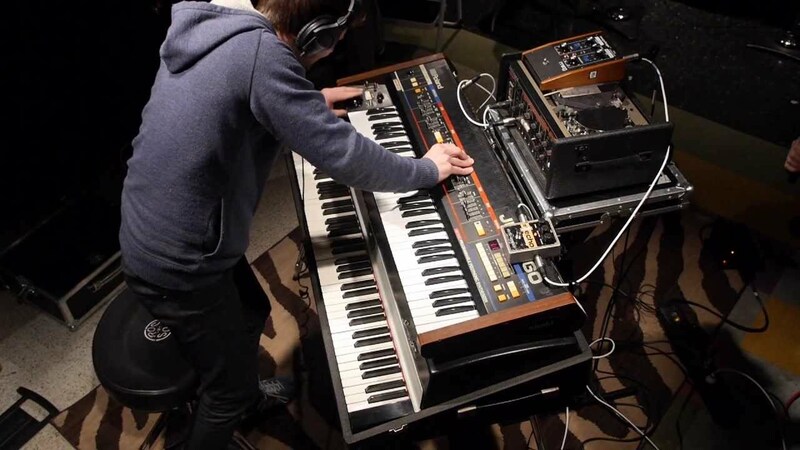 In this photo taken from an [xlr8r article](http://www.xlr8r.com/gear/2013/06/in-the-studio-jon-hopkins/), you can see John Hopkin's Roland RE-501 Chorus Echo. "I still use tape echoes now; I've got a Roland Chorus Echo (RE501) in The Garden studio which I wouldn't part with for anything because there's always a place for it on a track." Although Tom owns an SBX80, swears by an RE501 Chorus Echo and is recording much of his current song with a Juno 106, it's the Drumatix and TB303 Bassline which he finds indispensable. 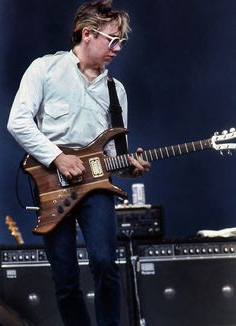 He used a Roland RE-501, according to this article. 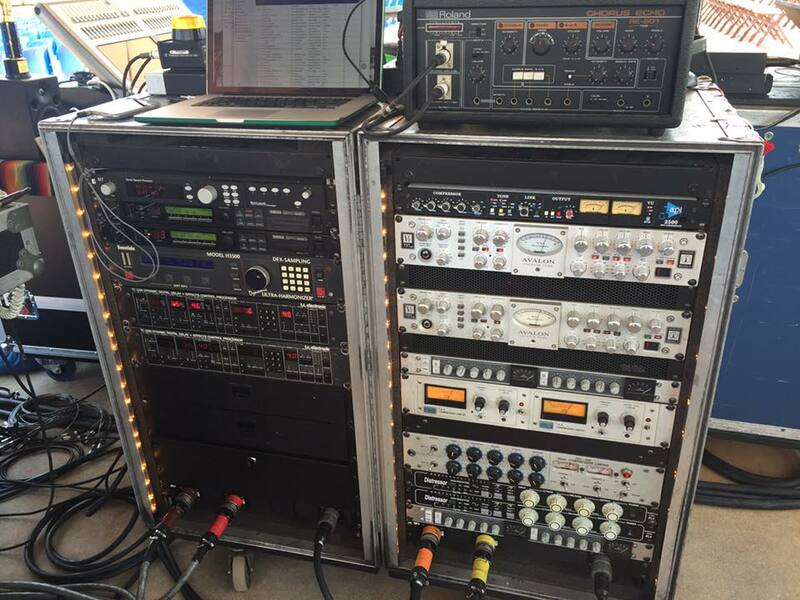 A FOH stage hand sent out a couple pictures of Chris Stapleton's live rig on May 27, 2016 in Simpsonville, SC at the Charter Spectrum Amphitheatre. The stage setup clearly matches the setup seen in various videos around the web from early-2016 shows. The Roland RE-501 Chorus Echo can be seen clearly on top of Chris' rack setup. At the 0:08 mark, you can see a Chorus Echo with a Mackie mixer on top. On top of the rack on the right of the desk, there are two Chorus Echos. Can be seen underneath the RE-201 in this photo, ontop of a rack on his main work desk in his studio. "@skudge_elias_landbergWorking on something new #inthestudio #working #somethingnew #rolandre501 #rolandtr909 #rolandtr606 #prophet5 #autumn #2015"
No reviews or videos yet for Roland RE-501 Chorus Echo. With an Equipboard account you can rate this item, add it to your collection, submit a review to discuss what you like and dislike about it, and associate Roland RE-501 Chorus Echo to artists that use it. Create an account!